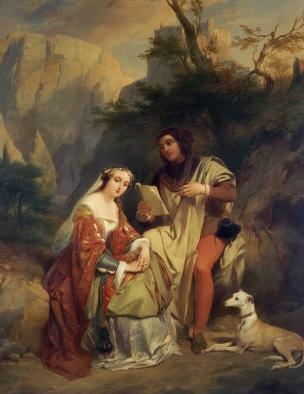 Sonnets to Laura, also called Il Canzoniere, were written by Francesco Petrarca (b.1304–d.1374), Italian poet and humanist, one of the great figures of Italian literature. In English we call him simply Petrarch (pron. Pe-trark). His love poems defined true emotions and described a real woman. He perfected the sonnet form and is considered by many to be the first modern poet. 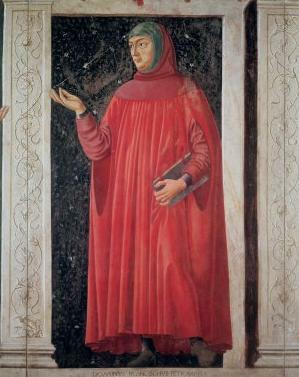 However, Petrarch considered his medieval Italian poetry to be less important than his Latin works, which brought Ancient Roman manuscripts back to life, fueling The Renaissance that was to come. But his poetry, delicate, melodious, and dignified, became the model for not just Italian poetry, but English poetry. He spent his youth in Tuscany and Avignon and at Bologna. He returned to Avignon in 1326, when the Papacy was there instead of in Rome. He may have taken lesser ecclesiastic orders, and entered the service of Cardinal Colonna, traveling widely but finding time to write numerous lyrics, sonnets, and canzoni (songs). At Avignon in 1327 Petrarch first saw Laura, who was to inspire his great love sonnets in Italian. His verse won fame during his lifetime, and in 1341 he was crowned laureate at Rome. In 1348 both Laura and Colonna, his employer, died of the plague. Petrarch then devoted himself to the cause of Italian unification, pleaded for the return of the papacy to Rome, and served the Visconti of Milan. In his last years Petrarch enjoyed great fame, and after his death his influence continued to spread, not just as a scholar and poet, but as a humanist, that dangerous creature that gave birth to the Renaissance, the first Enlightenment. Here is one of Petrarch's sonnets I especially enjoyed. It is number 3 of the 366. 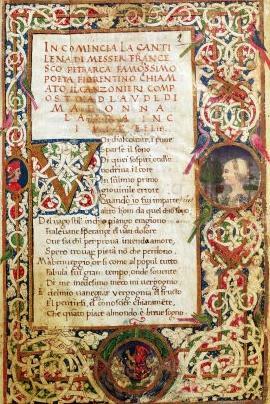 The sonnets are in the public domain, as are many of the quality translations to English of the sonnets. For free e-book versions, I link here to Project Gutenberg, the grand-daddy of free e-book sites on the web. 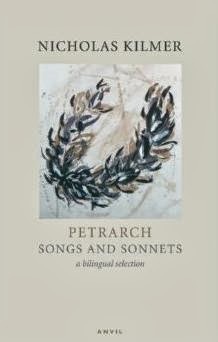 If you wish to own a printed version of the sonnets, here some selections from Amazon.com, including one with the Italian sonnets next to the English translations.